The SBA have announced their first Farm Tour of the year will be at Jim, Stuart & Michael Walker’s Knockenjig farm at Sanquar, Dumfries & Galloway. Kindly sponsored by Calf matters from Boehringer and Caltech Crystalyx, the meetings will focus on optimising health and nutrition of cattle around calving and maximising neonatal health and viability. The Walkers first came to Sanquar in 1921 taking a farm tenancy at Drumbuie and from then on they have grown the enterprise. Now spanning over 1800ha and spread across 3 units the farm has impressive size and scale. The livestock enterprise consists of 650 majority AAx suckler cows, their followers, 80-100 replacement heifers, 32 bull​s​ and over 2500 Scottish blackface and mule breeding ewes. 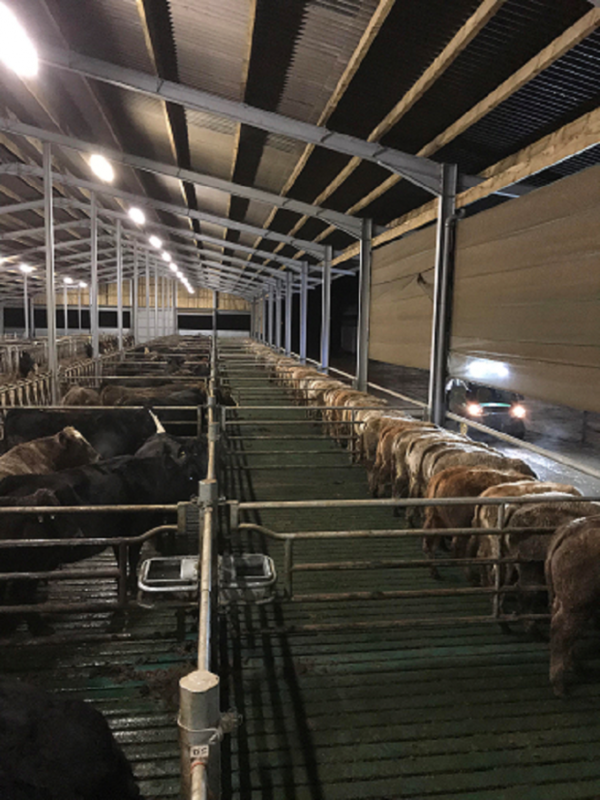 In the last two years, brothers Stuart and Michael have​ doubled their breeding cattle from 300 to 650 cattle, built a state of the art winter housing unit, implemented EID throughout the herd and are in the process of building a designated calving shed. The winter housing unit can now be managed by a single stockman. Investing in equipment such as locking yokes throughout the house has saved on labour; vaccinating the herd which previously took a day now takes just 45mins. It is clear to see that this young pair are focused on efficiencies​;​ considering EBVS when selecting bulls, implementing an extensive AI programme and collecting data from finishers on their calves’ performance to slaughter in order to constantly improve the​ir​ system. Commenting on the unit Scott Henderson, Vice Chairman of the SBA, said "The farm is one of the most progressive in the area, and it is nice to see someone has the confidence to expand." Visitors on the 25th ​January ​will enjoy a tour of the farm starting at 11am, a series of informative workshops and finally a buffet lunch. To book your FREE place to​ this​ fantastic visit, please ring NBA Head Office on 01434 601005.